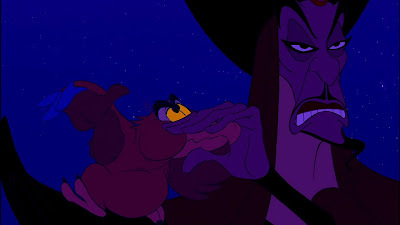 On the 2004 DVD commentary he was talking about how they wanted Jafar's clothes to be all red, but Andreas insisted they put in some more black. 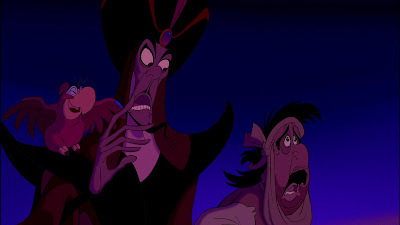 Then, Disney decided to make Jafar’s clothes all red for the direct-to-video movie, The Return of Jafar. Who came up with the final design for the lamp? 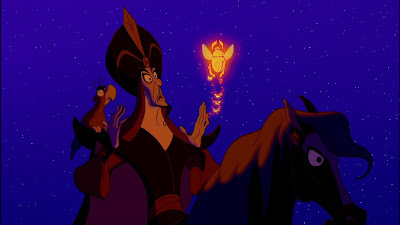 Did you animate Jafar in his genie form? I sadly don't know who animated Jafar in Genie form, but female animator, Kathy Zielinski, animated Jafar in Snake form, and Beggar form. If only someone who has the animator drafts knows. 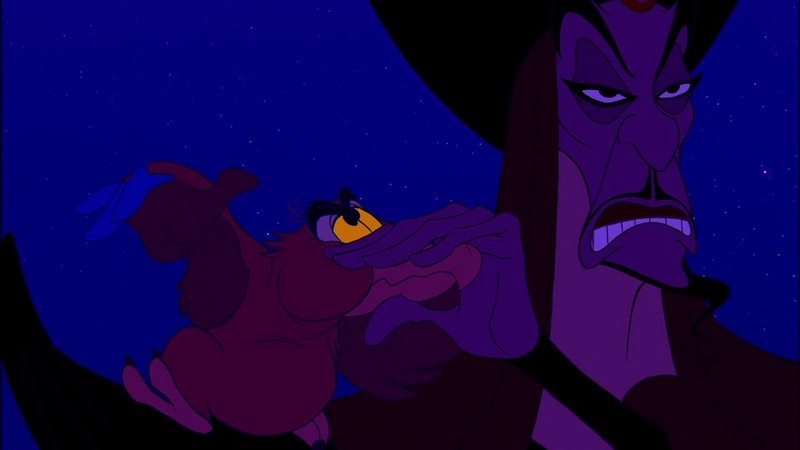 I love Jafar's hand movements in every scene. When Jafar would interact with characters that Mark or Glenn animated, did y'all just send outlines to each other back and forth? Like when Jafar puts his hands on Jasmine's shoulders or grabs the genie? Aladdin is my favorite Disney movie of all time, so anything Aladdin related is a real treat. Thanks for sharing some of these stories of you working on the film. 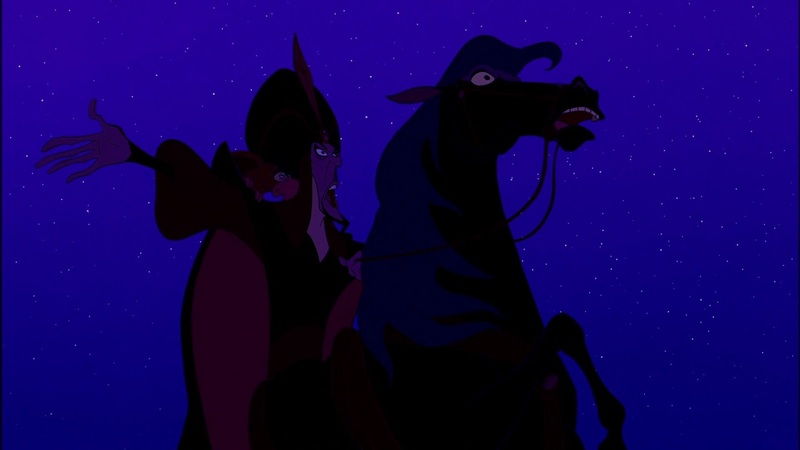 I remember in the 2004 "Making of" Documentary, I think you said that you combined your design of Jafar with someone else's design. Is that true? There were a few artists who did work on Jafar before I started. Jean Gillmore, Daan Jippes and John Musker. You haven't talked much on this blog about Dan Hofstedt. What do you think of his work overall? I've always thought he was very underrated. Love Dan's work. 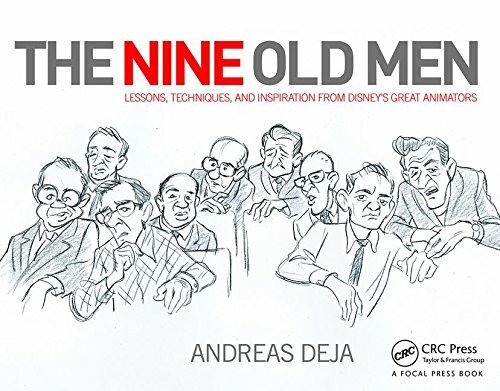 Great caricaturist, great animator. How did you feel about Jafar's design in Return of Jafar?